This hybrid combines wonderful characteristics from both parent species. 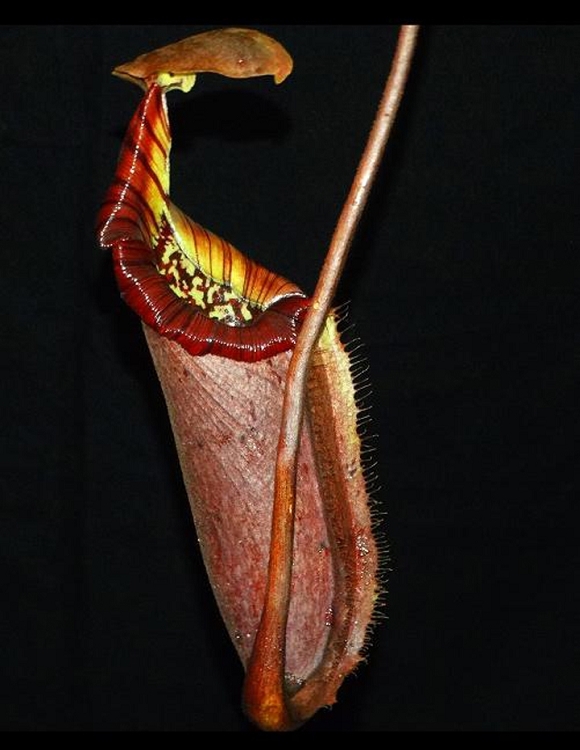 Nepenthes robcantleyi lends its huge and dark pitcher size and coloration, while Nepenthes burbidgeae lends its striking candy-striped peristome (lip) to this wonderful addition to our Nepenthes line. Words can't do it justice! Medium plants 3 to 6 or more inches in diameter, shipped potted in 4-inch pots, ready to grow; not bareroot as you might find with many other carnivorous plant vendors. ONLY TWO AVAILABLE, so act fast!! Note: for those who want to keep track of Borneo Exotics' item codes, this is BE-3935.